A recent report has indicated that Nigeria loses about 50 percent of its generation, transmission and distribution due to ageing infrastructure. He noted that overtime, the industry have suffered from lack of investment in the power sector and massive losses from generation output. Consequently, Nigeria needs to experience a robust development in the power by tackling its ageing infrastructure and increase generation capacity to complement the great demand from the rising population. His words: “First, we have witnessed a massive shortfall of investment in power plants over the last 30 years, meaning that population growth, and with it the need for electricity has far outpaced supply. Highlighting the current cause of unstable power generation resulting from generating losses in the country, he said: “The current cause of unstable power is the sum of these losses, 11 percent from generation, 14 percent from transmission, and 22 percent from distribution. 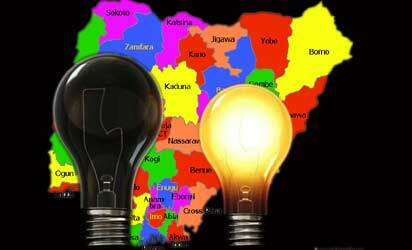 On how Nigeria can tackle the power challenges, he said: “The Federal Government could approve financing to tackle the transmission losses and monitor implementation by Transmission Company of Nigeria, TCN, closely. “Likewise, it could introduce meaningful fast sanctions to thwart the theft of electricity and punish defaults on payment of electricity bills, these realities everyone knows, but no one acts to stop them. “It is important for the public to know that the existing power plant fleet is old and will never generate anywhere near full capacity, meaning many new power plants are required. “It would be most beneficial if the new administration were to publicly support the Ministry of Power in its drive to ensure the spread of large-scale solar in the North. Only if power plants are built in the North, and renewable power plants can be built quickly, will electricity come to the North on any scale at all. “At the same time it is critical that the new administration provides sovereign guarantees to anchor private investments in new power plants, be they driven by thermal feed stocks or renewable energy. Should it not be able to do so itself, then it could officially request assistance from the international community, specifically the EU, in obtaining concessional loans for such power plants. “The government’s efforts to support small-scale solar systems for rural areas are very laudable but will not solve the main problem: electricity for the country’s many conurbations,” he said. —Utility-scale solar power plants (50MW upwards) can generate a substantial volume of electricity in the North, where there is no gas infrastructure to enable gas power plants there but where power is desperately needed. —Solar power plants can be built much faster (from idea to completion maximum 3 years; for a coal-fired power plant, 6 years).